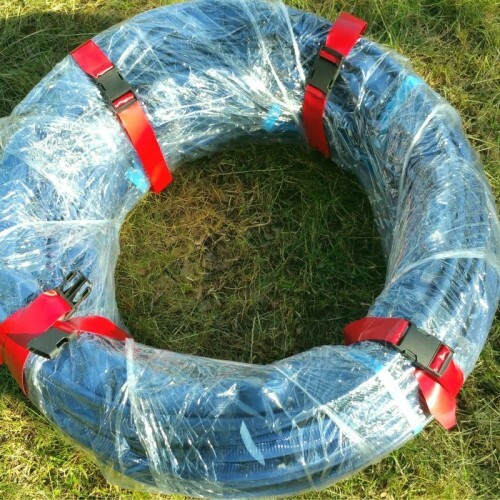 These parameters are adapted to the requirements of FCI (Federation Cynologique Internationale) regulations. 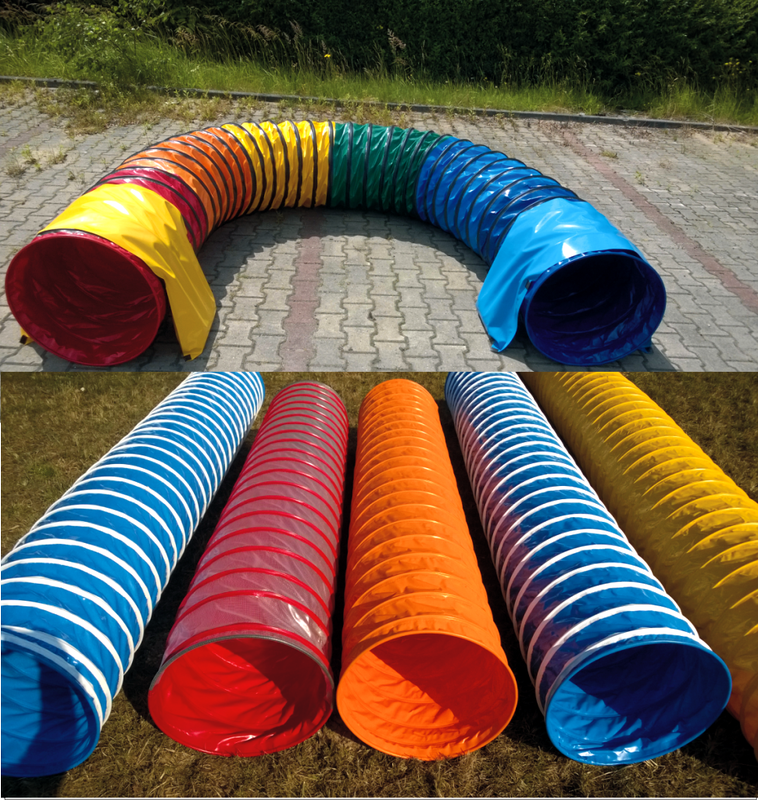 The tunnel is flexible and may be formed into one or more arcs. 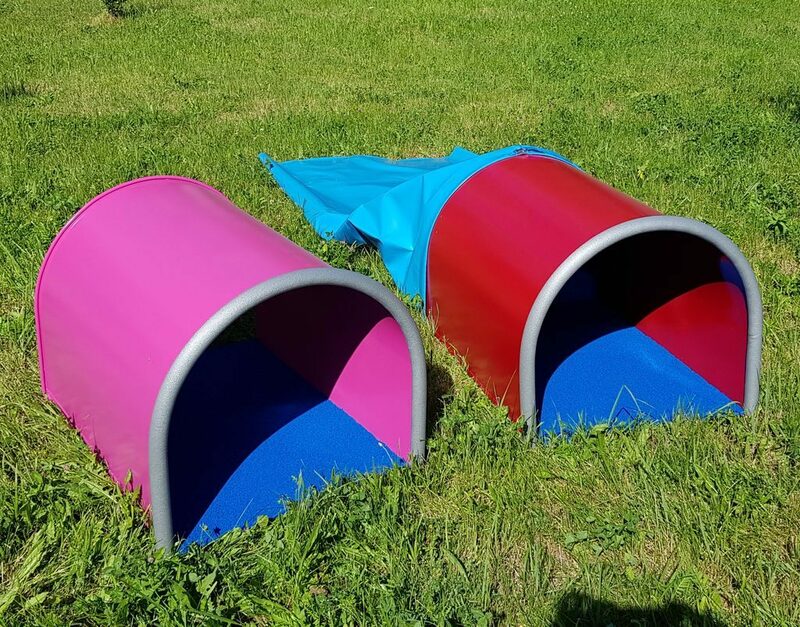 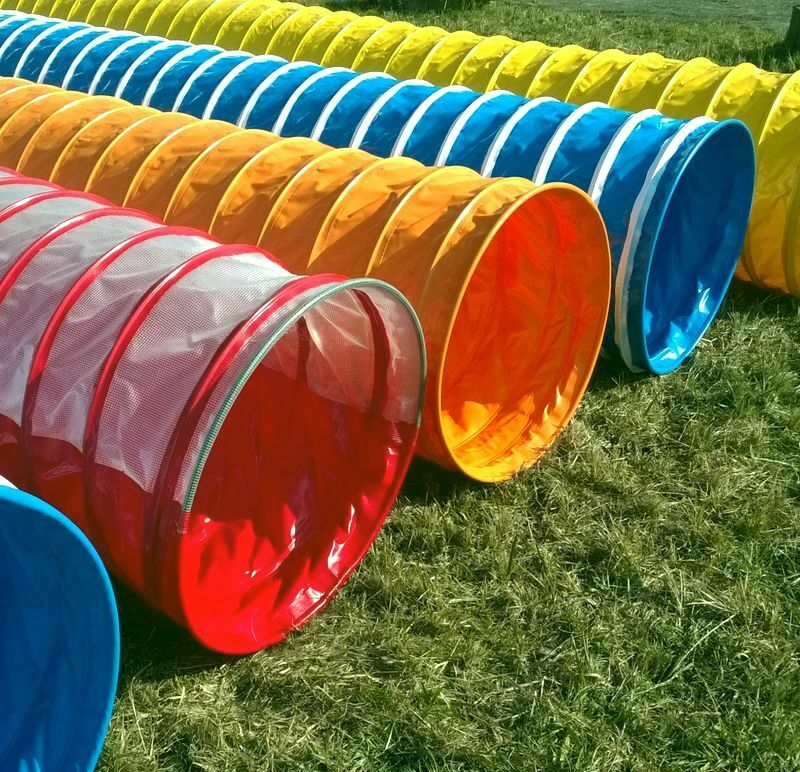 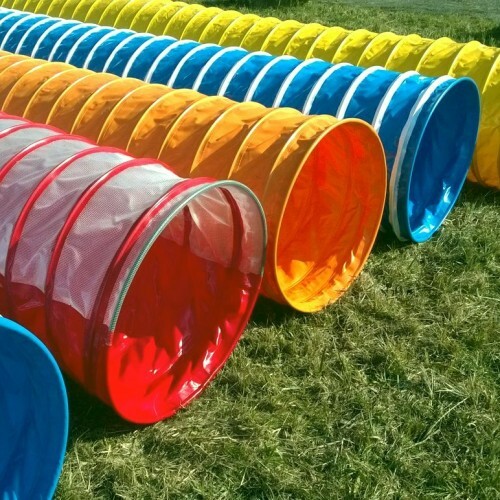 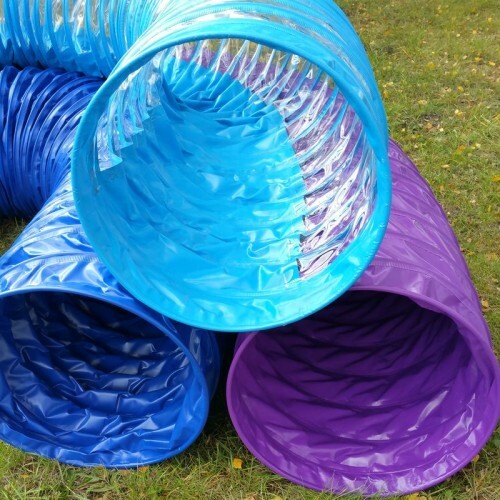 This type of tunnels is made in any configuration of colours. 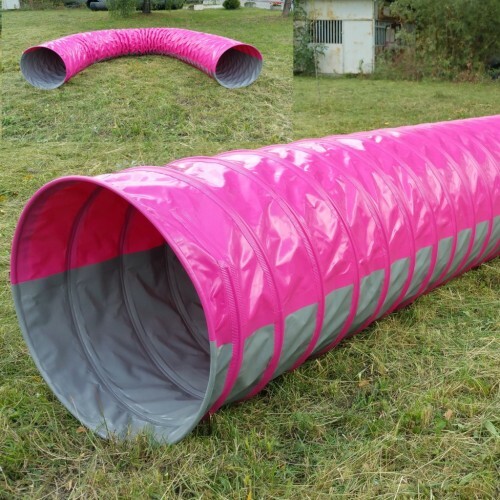 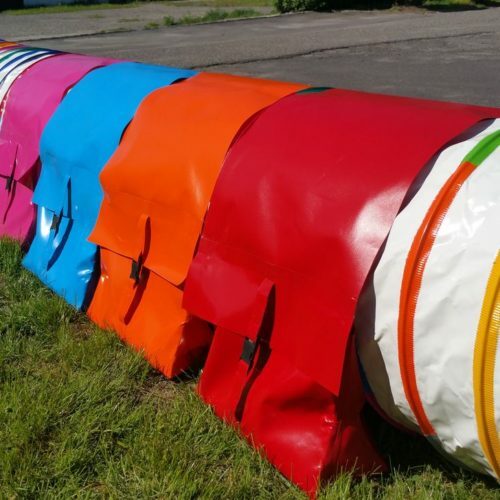 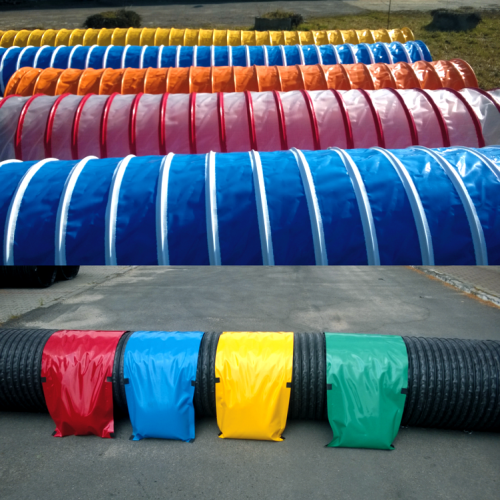 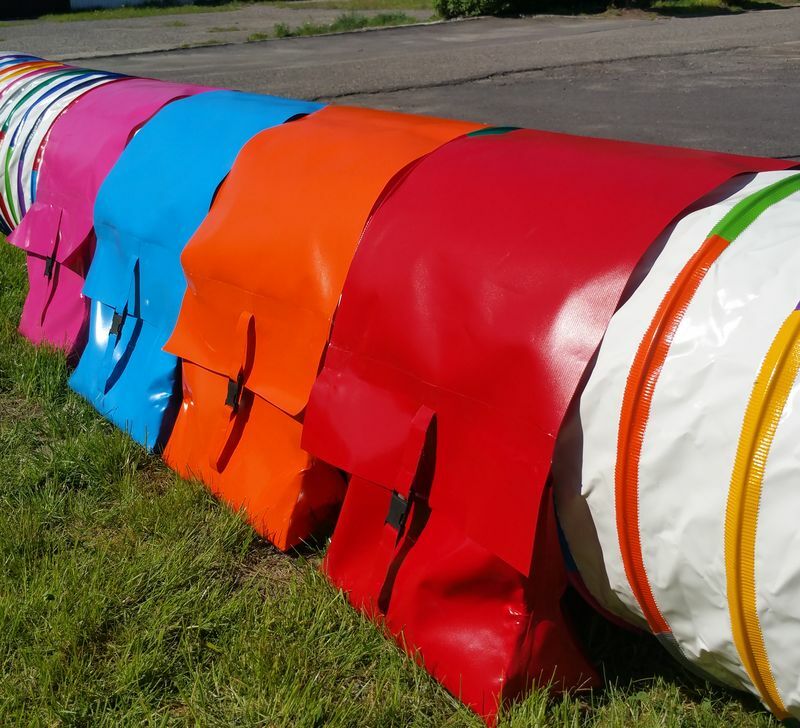 Flat tunnel is made of durable, waterproof, PVC-coated fabric as well. 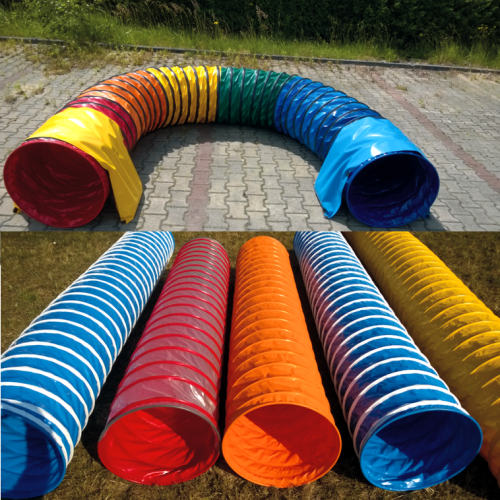 Its entrance part is a rigid structure with a length of 90 cm and a diameter of 600 ÷ 650 mm. 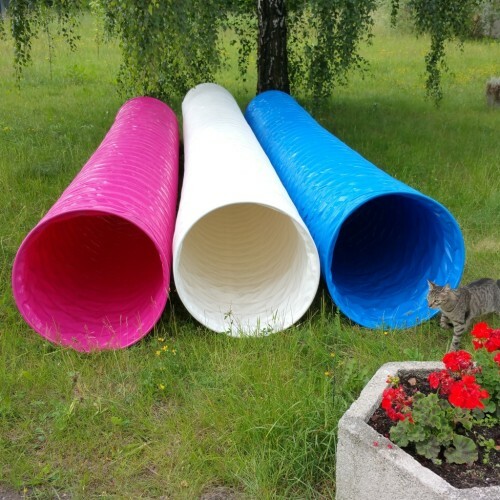 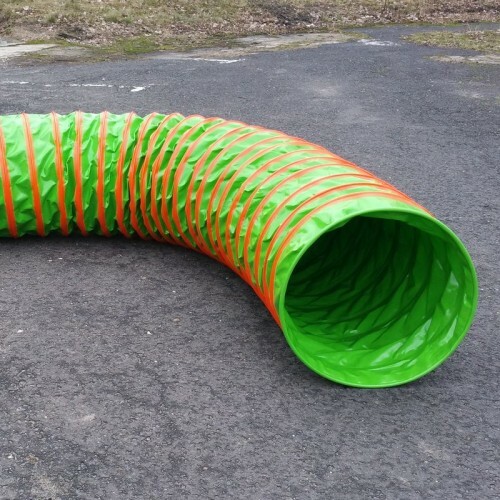 Exit from the tunnel is made of soft material coated with PVC with a length of 250 ÷ 300 cm and a diameter of 650 mm. 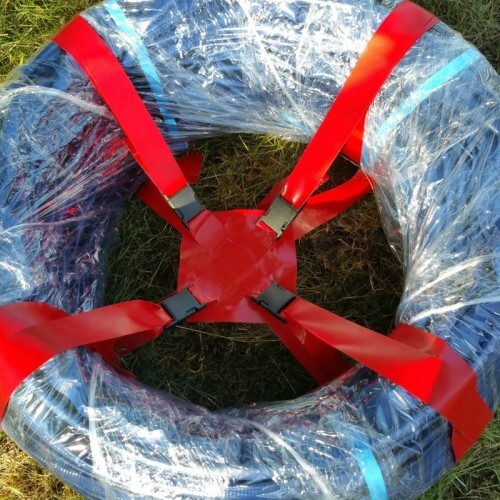 At the customer’s request, in order to maintain the tunnel’s stability, we can make brackets fixing the tunnel to the ground, or weights filled with sand. 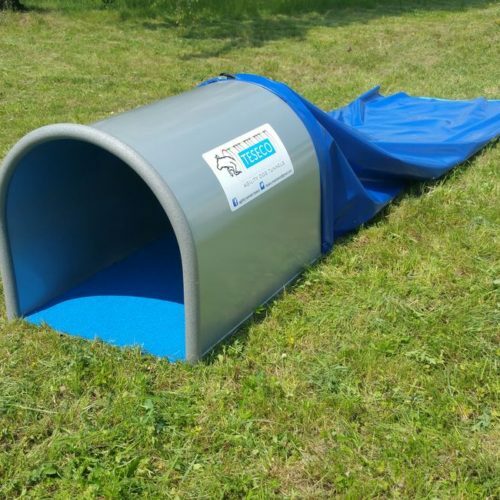 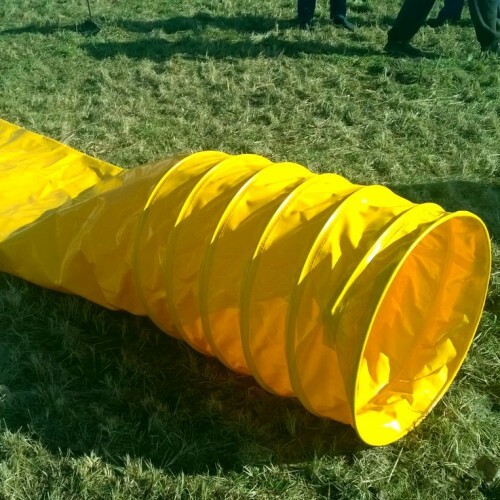 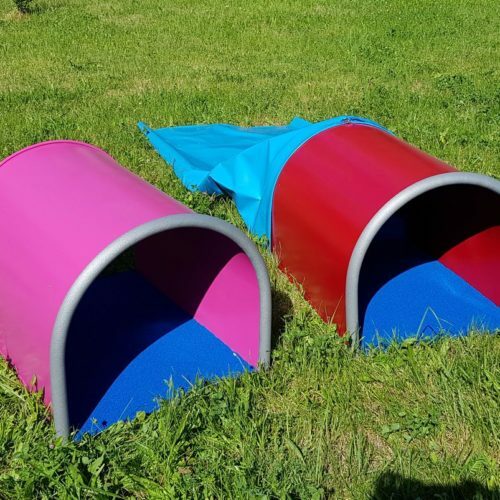 To facilitate the assembly and transport of agility tunnels, we offer transport fastening in the form of crosspiece tightened with clamps or single belts. 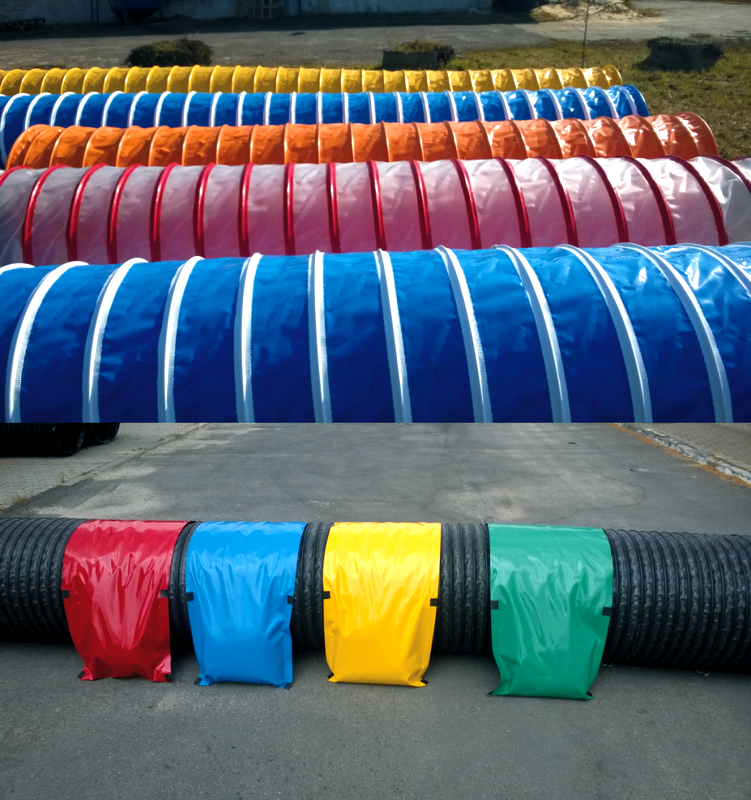 In addition, we introduced tunnels made of anti-slip fabric. 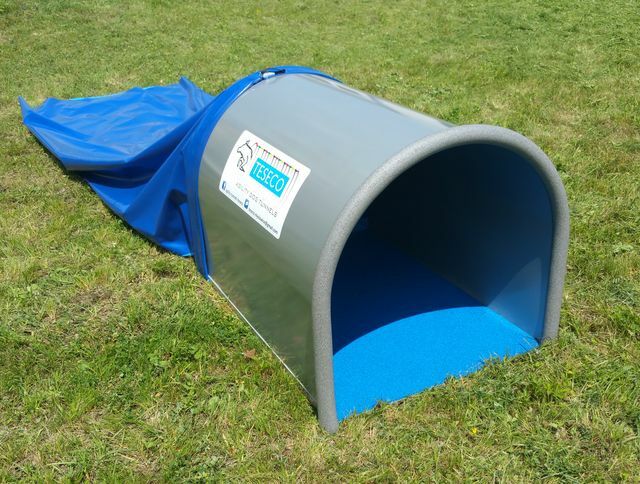 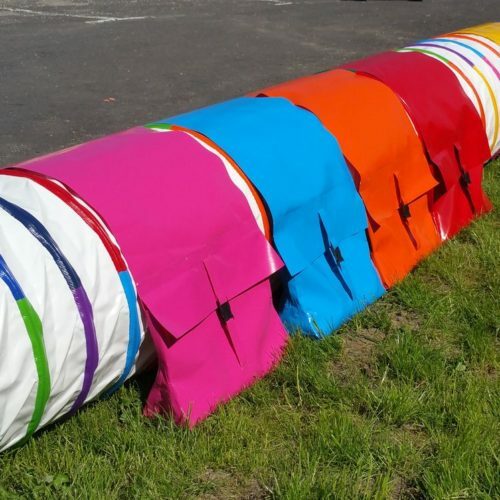 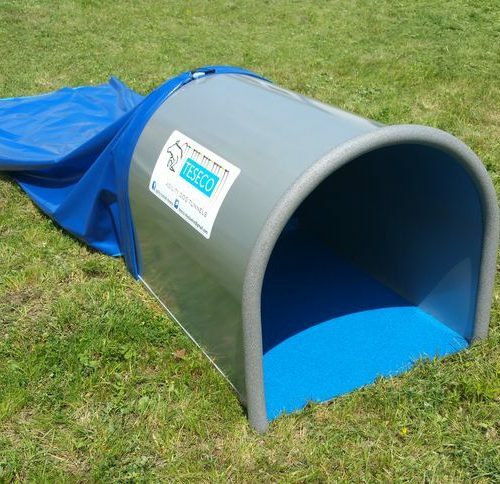 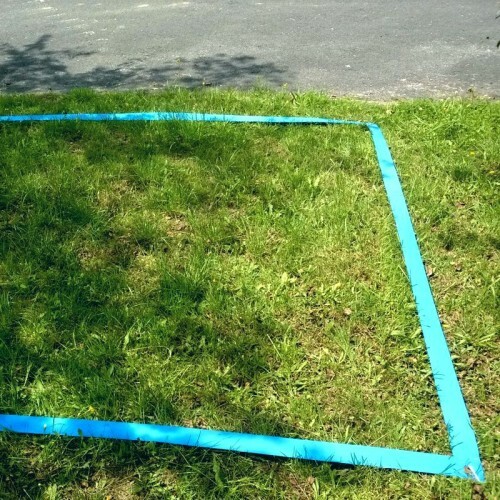 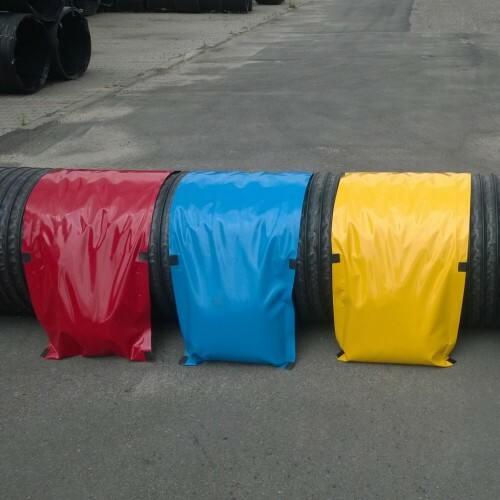 A tunnel of this type can be made entirely of anti-slip fabric or the anti-slip fabric can be the bottom part of the tunnel as shown in the picture below.